Out of different types of Superhero Costumes available with Zentai Hero, the newly added Neon Genesis Evangelion Costumes or EVA Costumes are available in all designs that are perfect for any occasion. With their commitment to keep offering exciting new cosplay costume choices for people to add more fun and frolics in their lives, Zentai Hero has now revealed an updated costume collection, which includes Neon Genesis Evangelion Costumes in a range of exciting designs. Taking a clue from the popular Japanese anime, these costumes will allow people to do a new Halloween style. Besides, the cosplay costume store also brings a comprehensive Superhero Costume collection for people to emulate the style of a favorite Superhero, such as Batman, Spiderman, Superman and many more. According to the company spokesperson, they have the complete range of EVA Costumes for people to choose from the popular Japanese anime characters, such as Asuka, Ayanami Rei, Ikari Shinji and others. Some of these costumes are 3D printed with illustrious designs that can simply appeal to anyone. The spokesperson reveals that these are handmade high-quality suits made of lycra spandex material. The suits feature an attractive and permanent color that never fades away. Available in different sizes, the EVA cosplay suits are available for men, women, and kids as well. Each suit comes with a sufficient number of customization options to suit the personal styling needs of men and women. Besides, attractive and adorable EVA suits, customers can also explore a variety of Lycra Spandex Costumes available in the stock of Zentai Hero. Made from the spandex fabric, these full body suits are comfortable to wear and give a new meaning to the Halloween style. Available in a wide range of colors, these suits are made from a breathable material, allowing people to remain fresh and energetic for long hours wearing these costumes. These handmade suits are tailor made to customer’s requirements and come with customization options of detachable hands, detachable feet, open mouth and other choices. The spokesperson states that Zentai Hero maintains the biggest collection of Superhero Costumes, and which has been growing continuously as they keep adding new styles in their stock. One can choose a Superhero costume from the collection, like Batman, Superman, Deadpool or can even copy the style of a Super Villain, such as Harley Quinn. There is no dearth of choices for men, women and kids. Available in the best design quality, all costumes are made from quality materials and are hand stitched by the tailors of the company. The handmade costumes feature the best quality, durability and permanent color. The costumes remain in good condition even after washing them multiple times. To choose from a wide range of cosplay costumes, featuring styles of the most adorable fictional Superheroes of all times, one can visit the website http://www.zentaihero.com/. 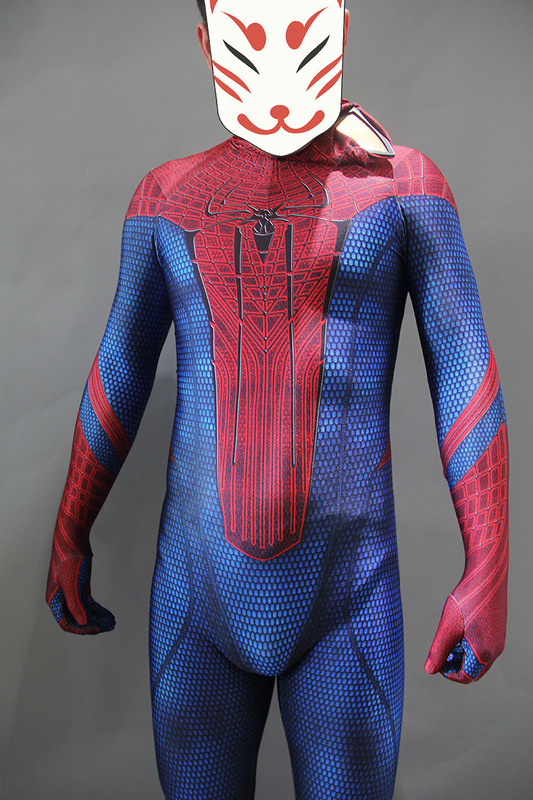 Zentai Hero is a professional superhero costume company in China. They offer superhero costumes in different styles. They also supply custom-made superhero costumes. They have different types of Halloween costumes for adult and kids. They not only accept retail orders, but also accept wholesale orders, and offer more discounts for more purchases.